You may have not heard of NUU Mobile, but the company has been selling unlocked smartphones in the US for a few years now. Its newest handset, the unlocked NUU G3, can be pre-ordered for $199.99 before it launches stateside in February. Design-wise, the NUU G3 borrows a lot from Samsung's recent high-end Galaxy phones, offering a 5.7-inch dual-curve display, and a glass back. Interestingly, the back of the handset hosts a dual camera (16 MP + 5 MP) and a fingerprint sensor arranged vertically - we will probably see a similar arrangement on Samsung's upcoming Galaxy S9+. The 5.7-inch dual curve screen of the NUU G3 has an 18:9 aspect ratio, but its resolution is underwhelming at 720 x 1440 pixels. 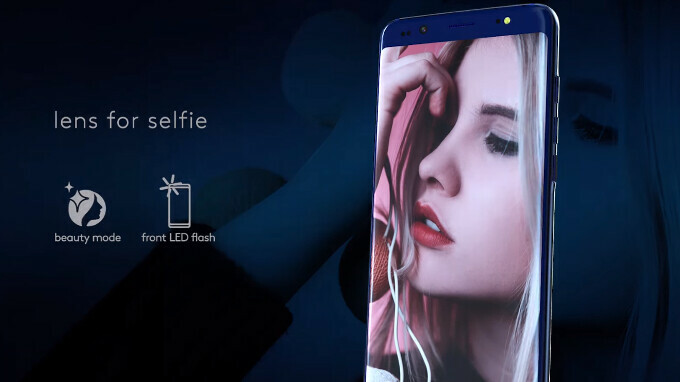 Fortunately, the rest of the features are quite decent for a $199 phone, including 4 GB of RAM, an octa-core MediaTek Helio P25 processor, a 13 MP selfie camera with flash, 64 GB of storage space, and a 3000 mAh battery. The G3 even offers facial recognition, but we're not sure how well this works. Connectivity-wise, the smartphone comes with a USB Type-C port, NFC, and 3G/LTE. There is full support for AT&T and T-Mobile, but the device is not compatible with Verizon and Sprint. At the moment, the G3 can be pre-ordered only via NUU Mobile's official US website - see the source link below. Starting early February, the handset should also be available via retailers like Best Buy, Amazon, Target, and Walmart. We haven't tried the NUU G3 ourselves, but maybe we will once the phone is released. S9 early edition go go go !!! I mean, just get an Honor 7X for something with actual decent build quality. Got one to replace my slowly dying 6P (greatest phone ever?) and have been impressed aside from the lackluster camera.